Private Equity investors make investment decisions based on balance sheets and P&L statements – typically in Excel, the tried-and-true tool of choice. Yet PE firms struggle to keep up with running the real-time reporting race needed to analyze companies post-acquisition. Portfolio companies are often saddled with multiple ERP systems and fragmented financial and operational data. Too many reports originate from too many disparate sources, and there’s too little time to separate signal from noise. Cloud-based data analytics tools, such as Power BI, are transforming the M&A lifecycle, and private equity investors are quickly taking note. In the cut-throat middle market, investors need the ability to access near real-time data, across portfolio companies, to accurately address and overcome barriers to growth. 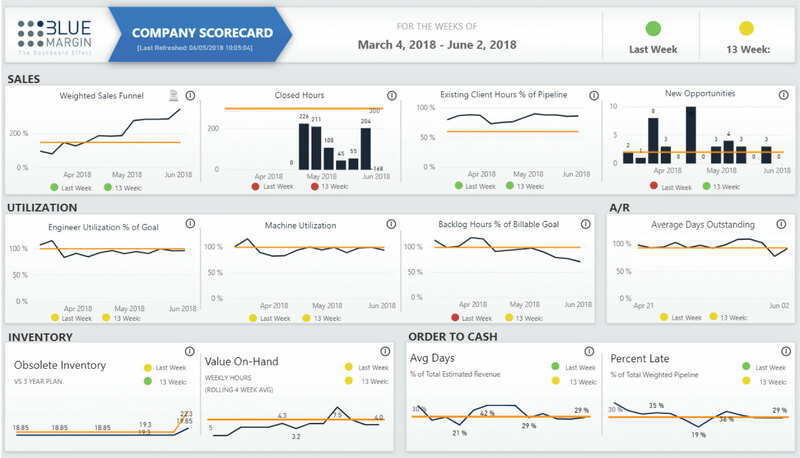 Data-driven dashboards allow investors to more effectively manage their portfolio companies, and having ready access to key performance data maximizes the perceived value of a company at exit. Another advantage? All stakeholders - from investors, to limited partners, to executive teams and line-operators - have access to the same data, creating transparency and shared accountability throughout the chain of command. In organizations normally beleaguered by non-integration, transparency causes individuals to take more ownership of their responsibilities and maintain focus on the right priorities. Transparency drives progress from the bottom up instead of just from the top down. An investor’s goal is to separate signal from noise—to zero-in on the metrics that impact a company’s value—empower the company to address them quickly and efficiently and do so as often as needed to maximize profitability. By embracing emerging business intelligence tools, such as Microsoft’s Azure and Power BI, investors can graduate from slow-moving Excel analysis to real-time reporting and transformative growth. If you are interested in learning how data analytics and dashboards can transform your investment process, please contact jon.thompson@bluemergin.com.